Games don't frustrate us these days. Not in the way they used to. Seldom in recent memory have I been confronted with a puzzle I just wasn't fast enough to solve, or a gauntlet of enemies I couldn't defeat through sheer respawn attrition. There have been a few exceptions (I'm hesitantly looking at you Ninja Gaiden Black) to that rule, and many of those were frustrating due to poor design. Blood of The Werewolf seeks to change that. I remember games like Contra, Megaman, Metal Slug and Abuse. 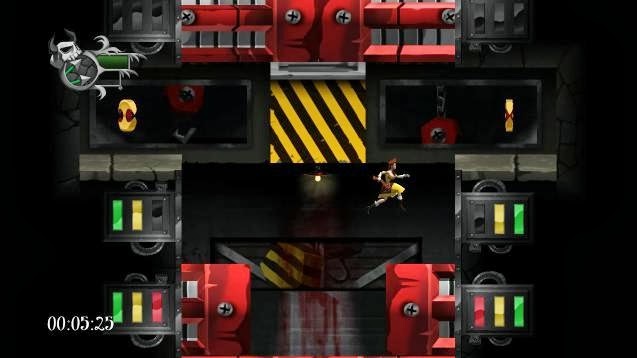 Punishing games that expected superhuman feats from it's players. These games sharpened instincts, honed skills and destroyed thumbs the world over. Getting through a level wasn't about figuring out the next puzzle or grinding enough to overpower the enemies in the area. There was no need to look anything up or call a hint line (yes, I remember those days). You knew exactly how to get through the next deathtrap. All you had to do was act fast enough to avoid the traps. It was about timing, speed and skill. These were the games you played in round robin fashion. Some friend was better at one area than you and another was better at the next than both of you and so on down the line. This is how my friend Alex and I beat Battletoads on his Gameboy. 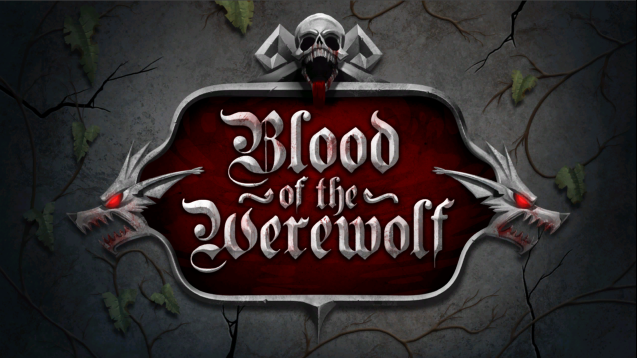 Blood Of the Werewolf is an old school side-scroller, being published by newly formed Midnight City. Nathaniel McClure, the creator of Blood of The Werewolf recalls the "concept of mastery;" games that forced you to react faster, games that trained your hand eye coordination in ways today's games don't. It's frustratingly hard, but in a good way. It took three of us about ten minutes and more than thirty attempts to get through this part. We cheered when we finally made it. Nathaniel is no newcomer to game development. He's an industry veteran whose work can be seen in Call of Duty, Jedi Knight II, Vampire: The Masquerade- Bloodlines, and Real Heroes: Firefighter. Blood of The Werewolf is his first venture as an independent developer, and he's brought all his years of experience to bear on it. 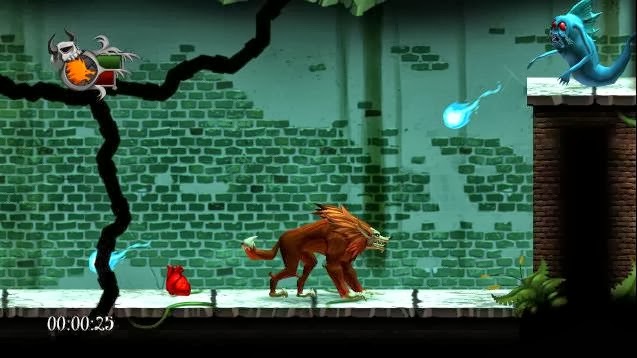 The result is a gorgeous, smooth 60 fps, side-scroller that takes your character through 34 levels themed after the iconic monsters that rule them. You'll fight the Creature, Frankenstein, the Mummy and more as you track down the one responsible for killing your husband and kidnapping your infant son. As you shift in and out of the moonlight, you will change from human form, armed with a crossbow and your true werewolf form, able to tear through your enemies and dash across areas quickly. The shift creates an interesting strategic dichotomy that still manages to keep the game challenging, even in areas flush with moonlight. I couldn't put this game down. It reminds me of all those games I used to throw fits over. It's frustrating in the best possible sense of the word. Frustrating because I know I can do better, because the game is taunting me. Frustrating because I'm just not fast enough yet. It's a triumphant return to a field of difficulty I thought long gone in today's market. I was immensely sad when our time with the demo was over. Blood of the Werewolf is currently on Steam Greenlight and could use your help in getting underway. If you've ever been underwhelmed by the challenges presented in today's games, I highly recommend giving it your vote.